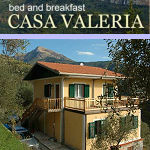 At 10 o’clock last night I stood on the terrace of my mountain eyrie, 500m up in the hills behind Ventimiglia. Everything around me was covered in orange dust and the thermometer stood at 20°C. Down on the coast it was even warmer; 21.5° in Ventimiglia itself. And this was after a day in which the sun barely made an appearance. It’s not as if recent days have been particularly warm. The winter was mild and unusually dry but March broke no records so the sensation of warmth this far into the evening was a novelty, bringing back welcome memories of last summer and the promise of more to come. Now for a technical explanation. Rather than being a large-scale weather pattern, the cause is something called a “katabatic” wind and is associated with mountainous regions. 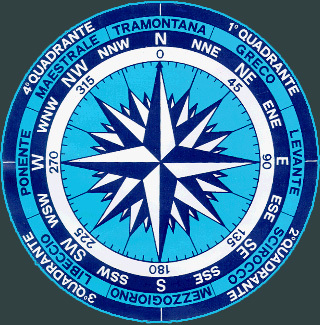 The prevailing wind was from the north; the “Tramontana” in the “wind rose” pictured above, which often brings dry, cold air down to the Mediterranean. For people here it’s one of their least favourite wind directions, rather like the “lazy wind” of Britain’s North Norfolk coast, so called because it can’t be bothered to go around you. But yesterday we saw a less common phenomenon, where the wind, in falling down the sides of the mountains, becomes compressed and as a consequence heats up, giving us the unusual temperatures we all experienced last night. If you’re expecting more of the same today you’ll probably be disappointed; it’s a fairly rare occurrence. As for the orange dust; that comes from the opposite direction. 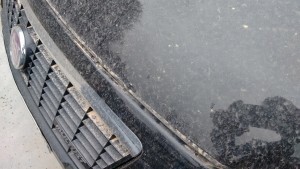 There has been a major dust storm across the Gulf States – see the Weather Channel. Maybe our orange dust is from there, or maybe it’s from the Sahara. 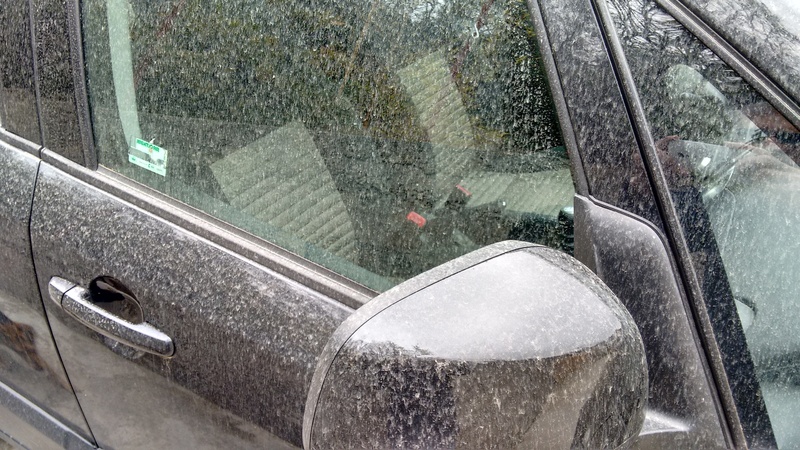 The wind direction in the last few days has been from the south, taking unusually warm conditions as far north as England, and this wind often carries a certain amount of Saharan dust with it. In fact, the two events may be linked, with the southerly, dust-laden winds hitting the Alps and being turned downwards and back towards the coast to become what the Italians call the “tramontana chiara”; a wave of compressed, warm and in this case dust-laden air. Much of the dust seems to have come late yesterday; I don’t remember my car looking like this earlier in the day. Expect queues at the car-wash today. I’ll be out with the bucket and sponge later. This article was inspired by one in Riviera 24 (in Italian).